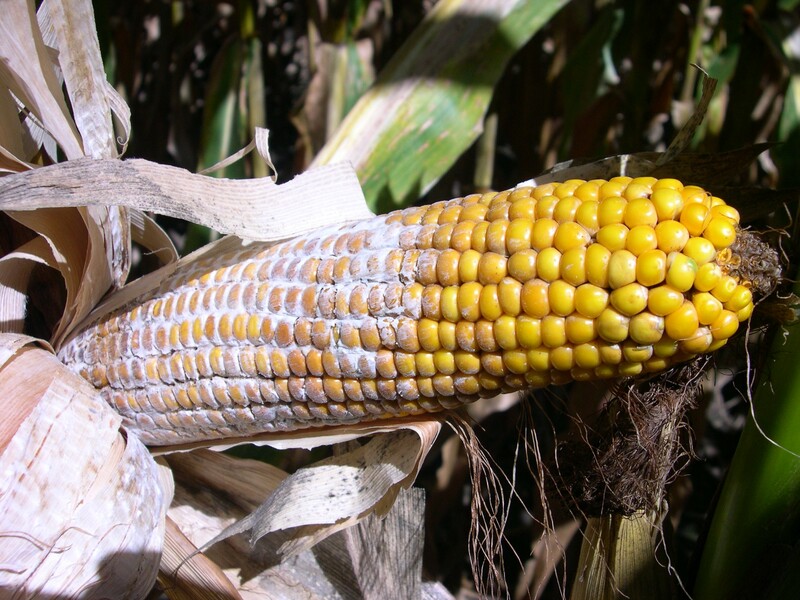 Diplodia ear rot disease cycle. 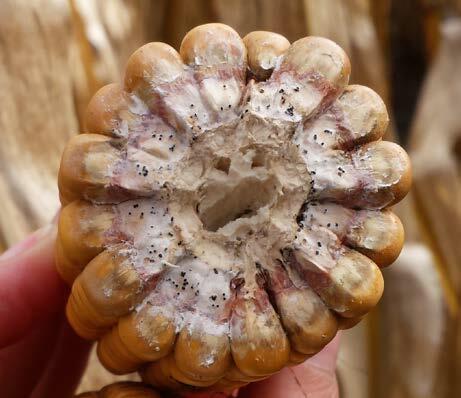 The fungus overwinters as mycelium, spores, and pycnidia on corn residue or seed. Spores are spread primarily by splashing rain. 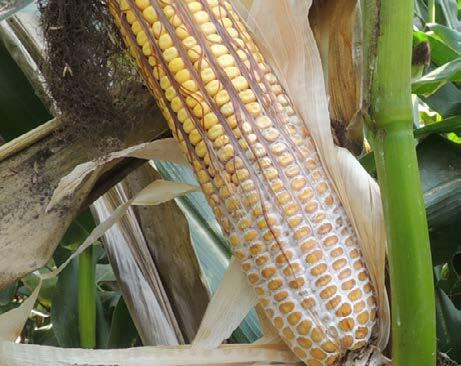 Dry weather before silking, immediately followed by wet conditions, favors Diplodia ear rot as does conservation tillage, continuous corn, and hybrid susceptibility. Delayed harvest and wet weather before harvest can allow fungal growth to continue, further reducing grain quality and yield. Scouting prior to physiological maturity is important to identify areas with mold problems. These areas should be harvested as soon as possible to prevent further mold development. Harvested grain should be cooled, dried, and cleaned immediately after harvest, and stored apart from grain harvested from healthy fields. 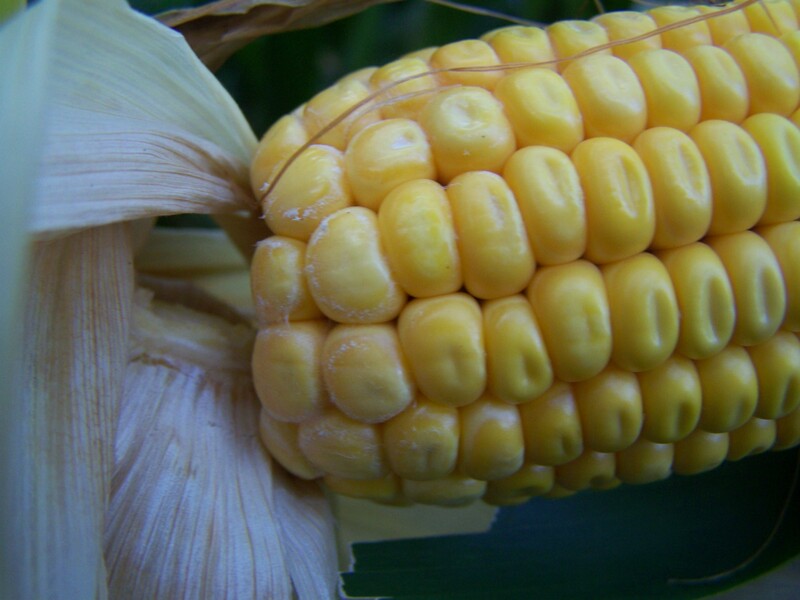 Insect management reduces the risk of ear rot infection. Signs of Diplodia ear rot on the husk. 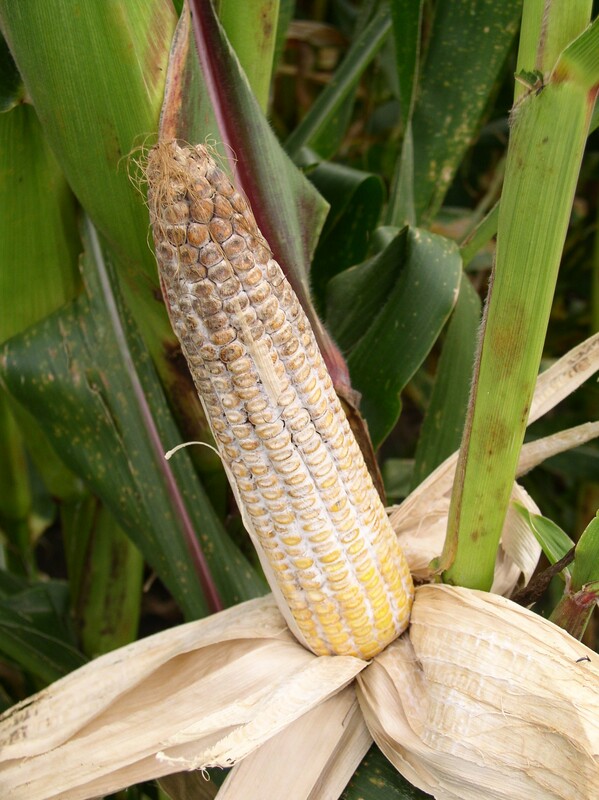 Early signs of Diplodia ear rot at the base of the ear. 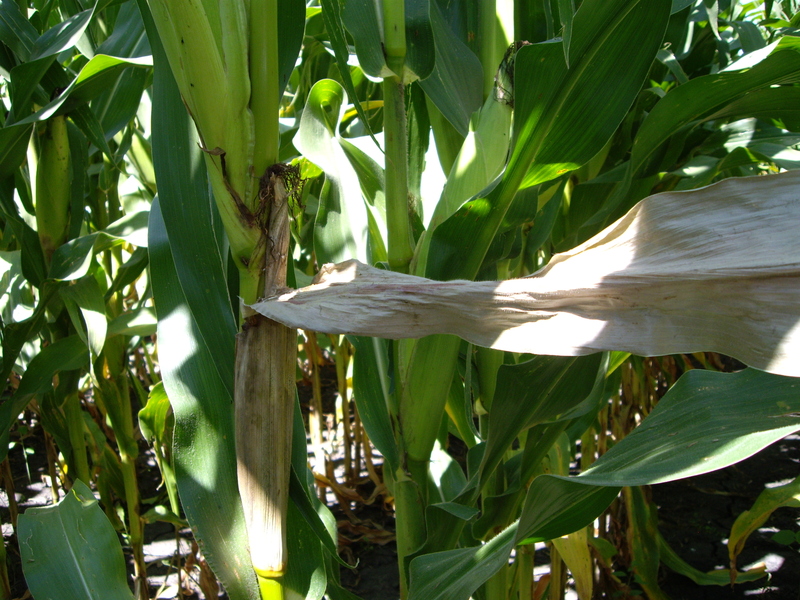 A dead flag leaf is an easily recognized symptom of Diplodia ear rot. 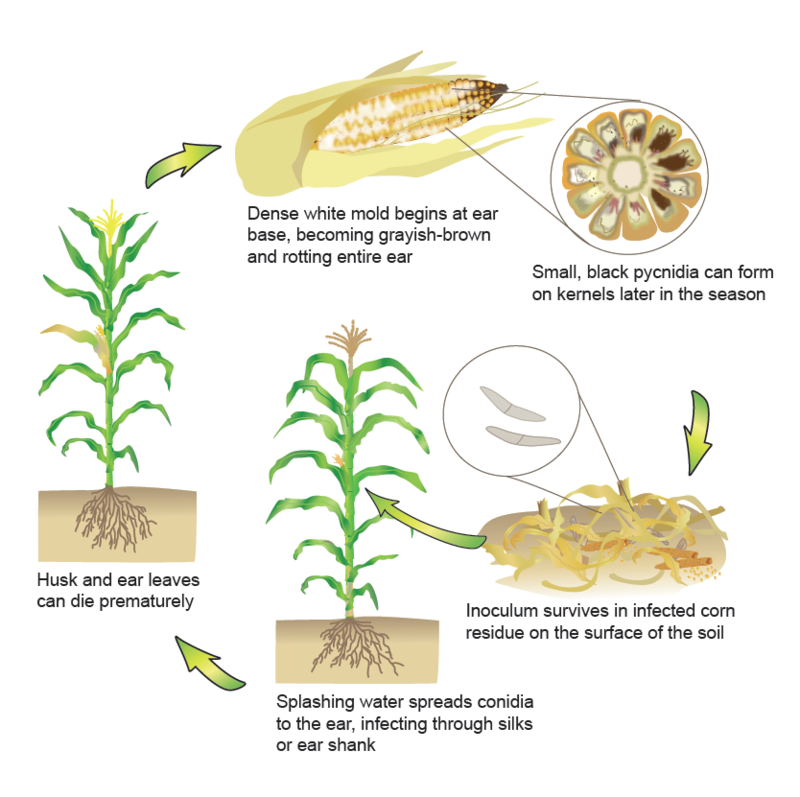 Diplodia ear rot appears as white mold growing on corn ears. Visible signs of Diplodia ear rot on corn ear. 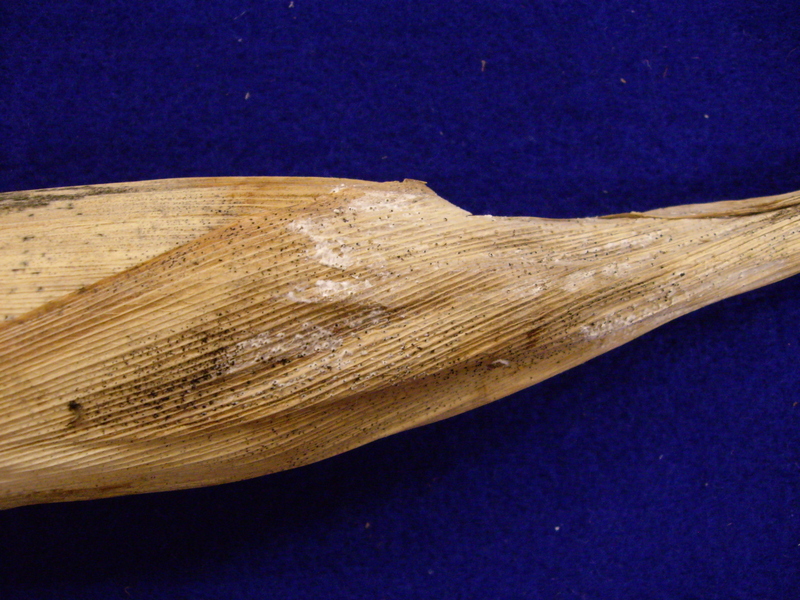 Cross-section of a corn cob with small, black pycnidia indicative of Diplodia ear rot.